Nothing marks a special occasion better than a personalized gift. Whether your goal is to commemorate an event or to recognize an individual, custom engraved or personalized commemorative pieces are an exceptional choice. Browse our list of products and services for a complete inventory of our offerings that perfectly suit any special occasion. From custom groomsman gifts, champagne flutes, custom cake serving sets and silver trays, our extensive line of individualized celebratory gifts are sure to enhance any affair. In a world where trinkets and novelties are mass-produced and void of personal touch, we strive to offer our clients exceptional specialty items that are customized and special. 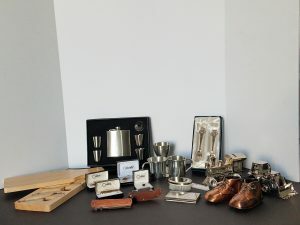 Whether you’re in search of knives, flasks, cufflinks or even baby gifts, we will provide you with a beautiful rendition of a personalized and professionally made piece. Visit our list of specialty product offerings for a complete inventory of items we pride ourselves on customizing. Are you looking for the perfect personalized gift to give to someone special in your life? 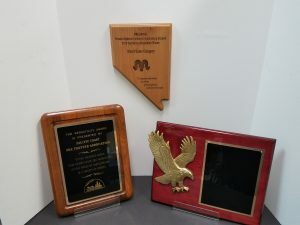 Whether you’re buying for your grandmother, your spouse, or your business partner, Engravers of Reno has the ideal commemorative keepsake that is sure to impress it’s recipient. Choose from our vast selection of customizable specialty items. Each gift can be personalized to your exact specifications, and each project is met with a pristine eye for detail and an unrivalled thoughtfulness. 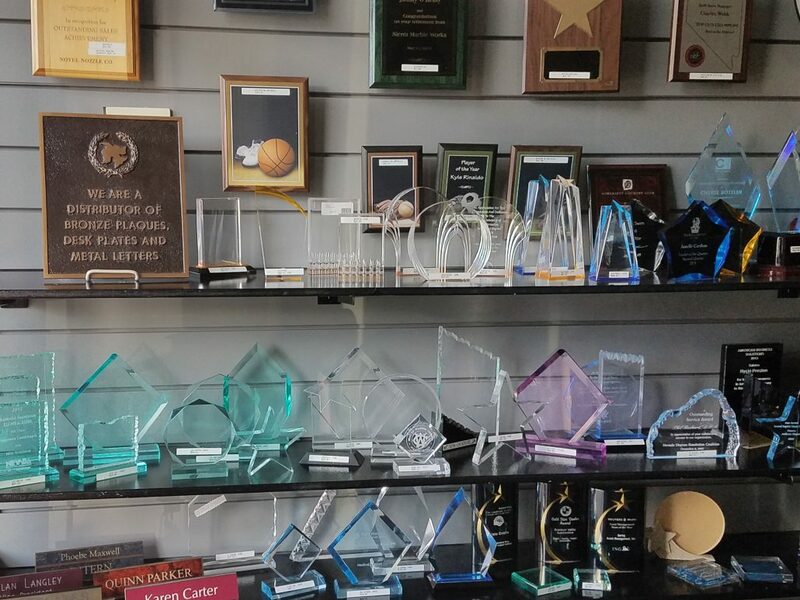 At Engravers of Reno, our team goes above and beyond to provide trophies that epitomize the recipient’s praiseworthy accomplishments. If you’re celebrating a team success or acknowledging the efforts of an employee, we have the perfect customizable trophy to fit your needs. 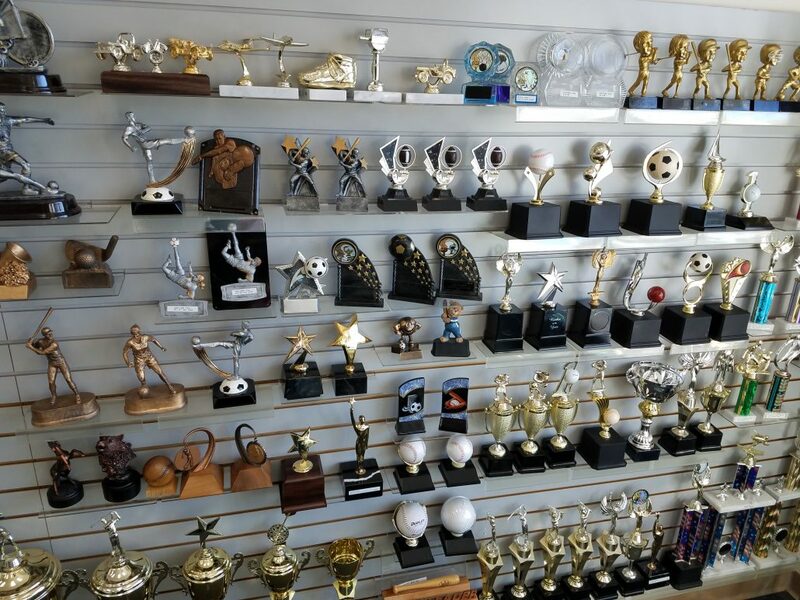 Choosing a custom, high-quality trophy over a generic, lack-luster option will never disappoint, and we can help you find just what you’ve been looking for to signify that big win or accomplishment. From golf trophies to elegant cups and crystals, some achievements truly merit a first-class trophy. Browse our online catalogs to find your ideal trophy. Memorials and monuments are meant to signify a historic or noteworthy event. Such important tributes should be matched with the highest in quality bronze metal plaques that will stand the test of time. We will take your vision and mold it into a beautifully crafted custom bronze casting that will exceed your expectations. 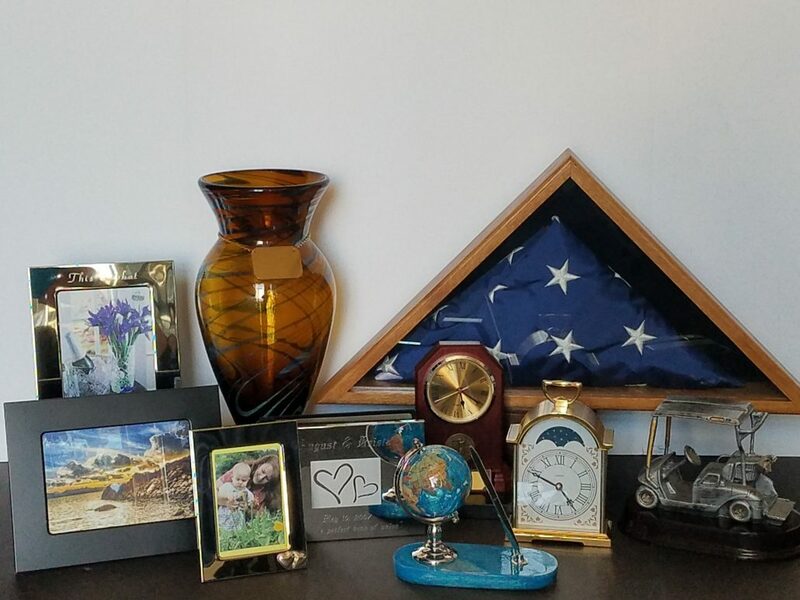 Be it for a family crest, military monument or seal, we can transpose any design into a bronze work of art for you, your family, or anyone to cherish. 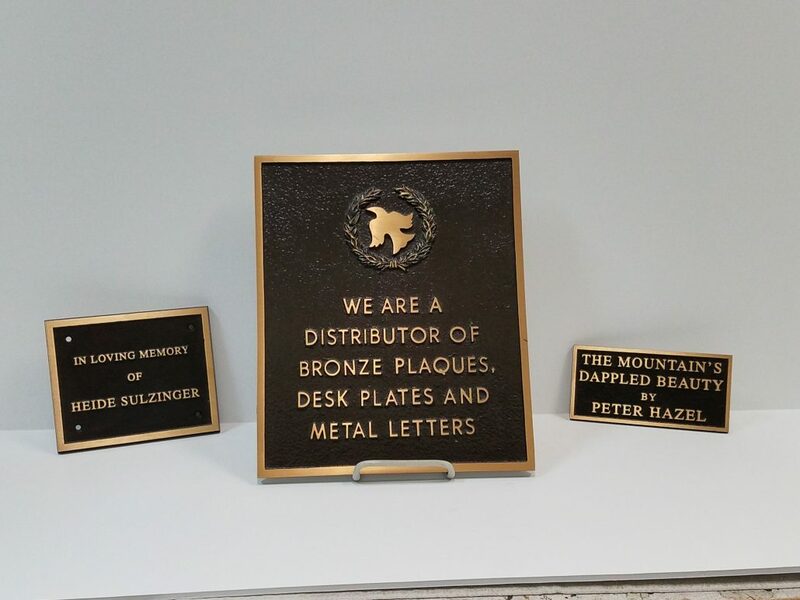 Whatever your project may be, custom bronze metal casting and plaques are the perfect way to add to a timeless recognition or dedication. From corporate excellence to individual employee recognition, personalized awards should be as refined as they are thoughtful. 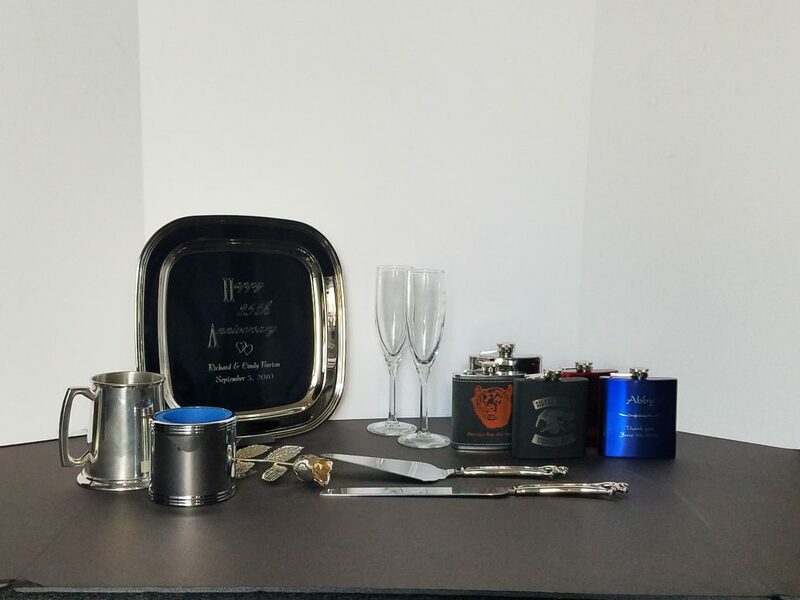 Well-designed customizable keepsakes are meant to be unique representations of praise and achievement, and at Engravers of Reno we strive to signify that in every piece. 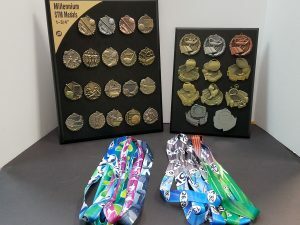 We offer a wide selection of awards including both modern and vintage styles that are engraved to your unique specifications. Employing contemporary and efficient techniques, our awards are unmatched in quality and style. Browse our online catalogs to choose the award that exactly fits your needs. We’ll turn this piece into a treasured memento the receiver won’t soon forget. Custom engraved medallions are a great way to recognize the individual achievements of employees, participants, volunteers and much more. These small metal possessions are meant to be displayed and honored, so it’s important that they are inscribed to perfection. At Engravers of Reno, we take seriously the fact that personalized medallions are special pieces that can last a lifetime and be passed on for generations. With this in mind, our team offers the highest quality metals and precise engraving, so that each piece may stand the test of time. Choose from one-sized or two-sided custom medals and medallions to meet your exact needs. Whether you’re planning for a special event, or just want to treat someone to a special gift, we have the perfect piece for you. Recognition for employees, teams and businesses is made easy with custom engraved plaques. 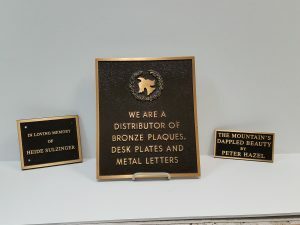 Whether your goal is to offer accolades for an objective reached or a benchmark surpassed, personalizing a plaque to award the victor is a great way to show true appreciation. Our plaques are engraved at the highest standards, and our team is meticulous when it comes to perfecting each item. From a simple name and achievement to a detailed commemoration, you’re personalized plaque needs will be met with elegance and precision. If you’re searching for traditional walnut or cherry wood designs we have a wide selection for you to choose from. If you’re interested in something more detailed and unique, take a look at our customized bronze metal castings<---[LINK]. These castings are the epitome of commemorative excellence coupled with permanence and grace.